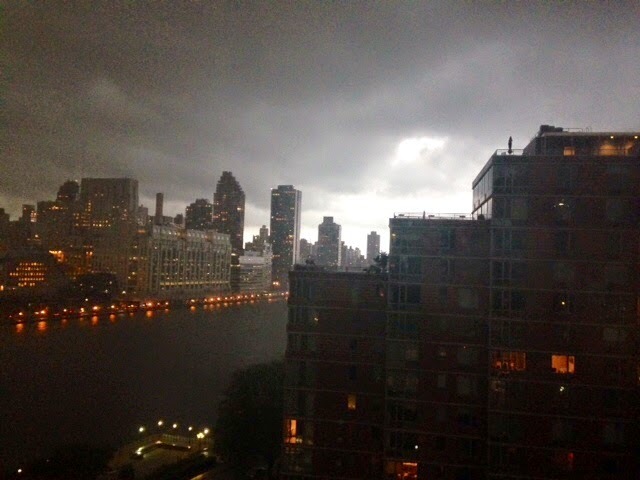 The sky was dark and foreboding over Roosevelt Island last night but tonight the colors were amazing. 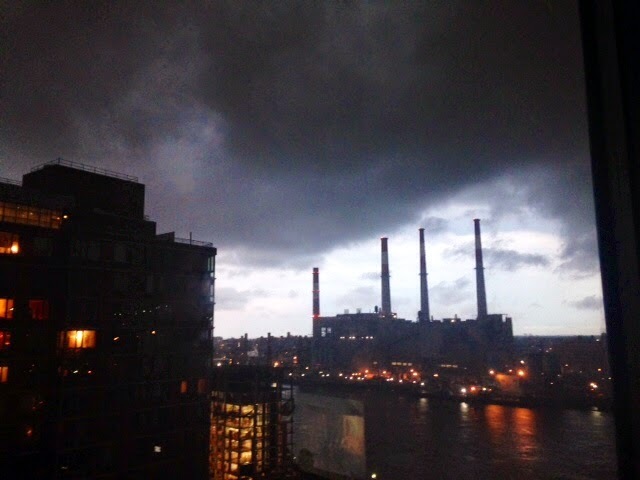 That was some sky over Roosevelt Island and the New York City East River Waterfront tonight. Here are some pictures. 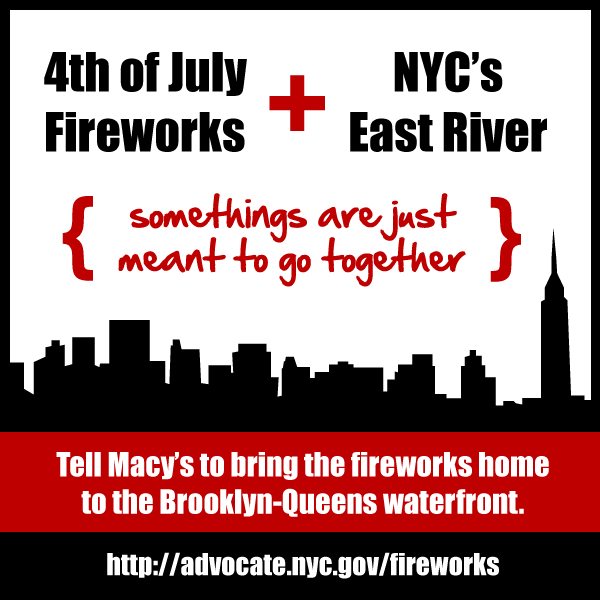 over the East River too. 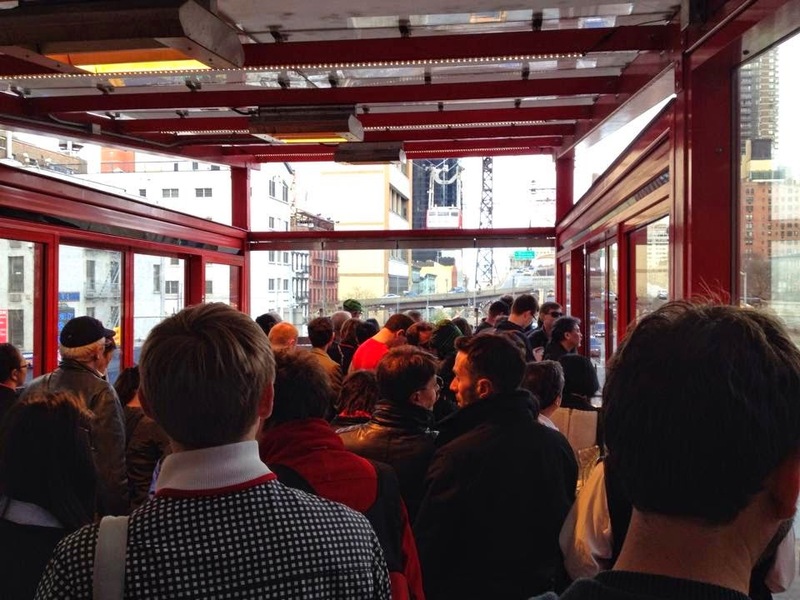 Expect crowded Roosevelt Island Tram Cabins this weekend on your way home. participated in last night's Founders Dinner and Silent Auction for the Roosevelt Island Child School/Legacy High School. 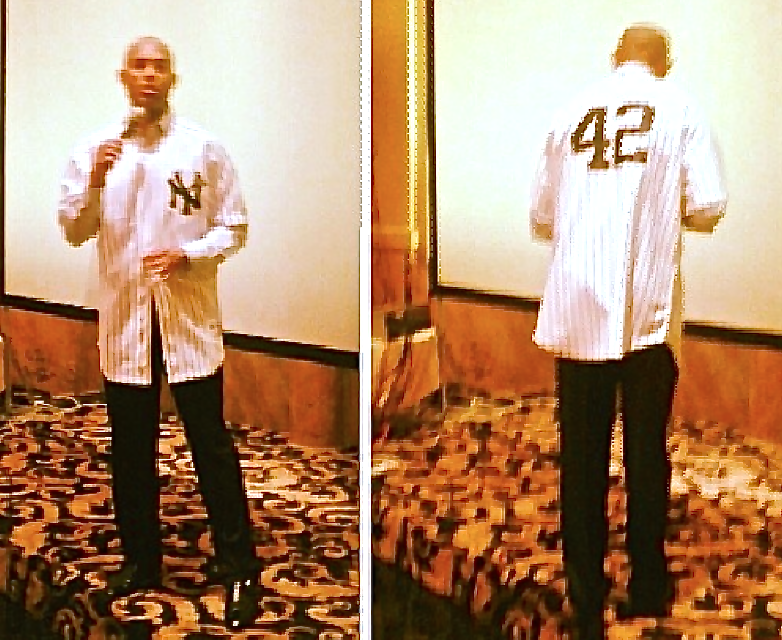 Legendary Yankee pitcher Mariano Rivera will make a special guest apperance at this year's Founder's Award Dinner, to be held May 22, 2014 at Terrace on the Park, a beautiful venue in Flushing Meadows Park that has sweeping views of the Manhattan skyline. Shout out to Mariano Rivera who was taking a picture with a group of students including my son when I shouted to him: "Somos Panamenios!" Mariano: "Oh wow! Es Verdad? Me: "Si! Soy la sobrina de Ben Oglivie (Left Field, champ batter and All Star from the Milwaukee Brewers) y mi mama era de Colon" His bodyguards started to pull him away from all the people pulling on him and he says: "Wait! Let me take a picture with my guy (referring to Jamil)" then he gestured me into the pic. Great great guy! Que viva Panama! 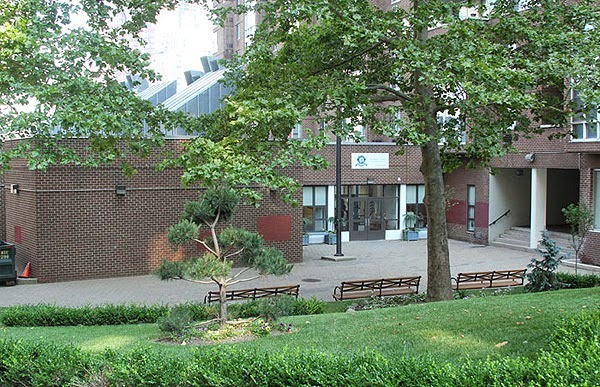 Here's more information on the Roosevelt Island Child School Legacy High School. Last Tuesday, May 13, the Sportspark Pool was closed due to a mechanical problem with its filtration system. Our staff has been working diligently to make repairs and restore the facility as soon as possible. We recognize the inconvenience a pool closure poses to the community and appreciate your patience while we correct the problem. When an unexpected occurrence like a facility closure takes place, RIOC sends out notifications and updates via its RIOC Advisories email alert system as soon as possible. It is important to us to keep the community informed about what’s happening on Roosevelt Island. I encourage you to sign up for RIOC Advisories for alerts on issues such as traffic disruptions, construction, community meetings, events, and most importantly, in case of an emergency. Remember, if we can’t reach you, we can’t alert you. 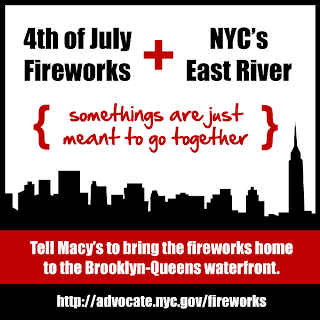 Sign up at http://rioc.ny.gov/advisorybody.htm. Thank you to everyone who participated in Bike New York’s Spring Kickoff Party last Saturday. Many members of the community came out to take part in the festivities, which included a free bicycle raffle for Roosevelt Island residents, a Learn to Ride – Kids Class, a popular free bike tune-up shop, and a chance for kids to show their creativity in the bike beauty contest. BikeGuard, a free registry provided by MyAssetTag.com, also offered free aluminum tags and assistance for residents who wanted to register their bikes. With perfect weather, wonderful activities and enthusiastic participants, we could not have asked for better conditions. Many thanks go out to Bike New York for providing this fantastic event. If you missed the chance to register your bicycle at last Saturday’s event, you can still pick up registration tags and instructions for free at Public Safety’s headquarters (550 Main Street). BikeGuard allows residents to log a detailed description and photo of their bikes into an online database. The company has worked with RIOC to provide a community specific program for Roosevelt Island residents to register their bikes locally. If you report your bike lost or stolen, your local community is notified as well as Public Safety. While this notification does not take the place of an incident report filed with Public Safety, it certainly does increase the chance that your bike will be returned to you if it becomes lost or stolen. On June 14, Bike New York along with the Roosevelt Island Visual Art Association will gather residents under the Helix Ramp to decorate their bicycle storage container with paintings. If you’re interested in taking part in this event, please contact Caitlin Goodspeed at cgoodspeed@bikenewyork.org. 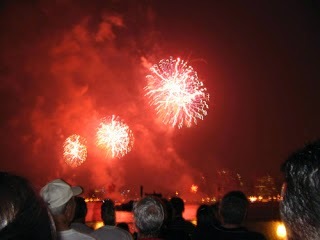 Roosevelt Island Day will be taking place next month on June 21. This event is a celebration of Spring and community spirit, with residents coming together to beautify and improve their neighborhood. After a morning spent planting and weeding, participants gather on Main Street to enjoy free games, rides, music and more. This event is sponsored by Urban American in partnership with RIOC and the Roosevelt Island Youth Program. 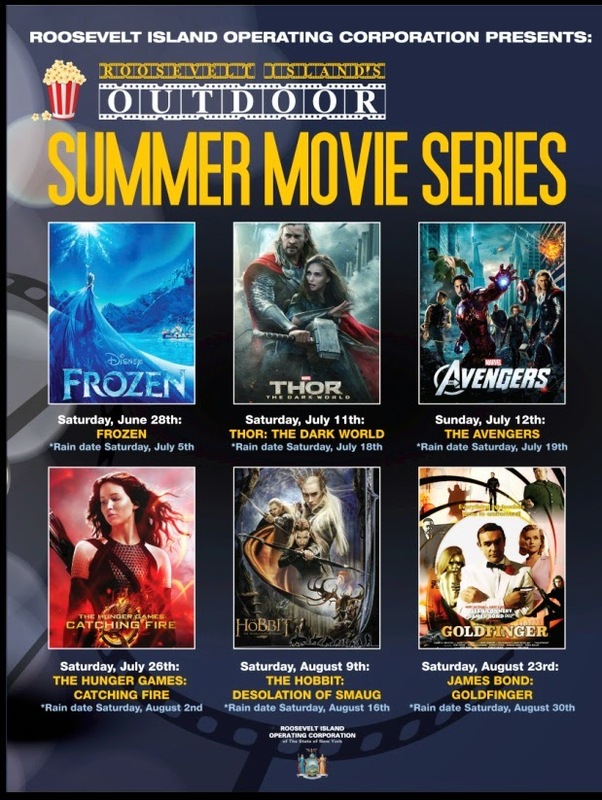 On June 28, RIOC’s Outdoor Summer Movie Series will kick off with a screening of Disney’s Frozen at Southpoint Park. The fun starts at 7 p.m. – bring a blanket or a chair and brush up on your movie knowledge for our trivia challenge. Food and drinks will be available for purchase. 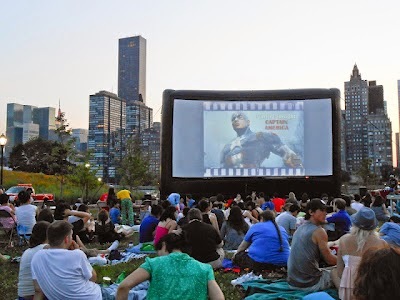 We hope you’ll join us for this fun, family-friendly movie in the park. We encourage you to visit rioc.ny.gov for more information on the event and to view the list of movies and showtimes. An updated construction schedule for the repair of the Lighthouse Park footbridges has been released; work is scheduled to be completed by July 2014. We know the community has been eager to have full use of Lighthouse Park restored and are pleased to be moving forward on this project. We are committed to repairing the bridges as soon as possible for the enjoyment of all who visit the park. Thank you for your patience during this project. We are pleased to report that last week, the installation of upgraded lighting and re-striping of parking spots in the Motorgate Garage was completed. This project was necessary to ensure the safety of all who park their cars in the Garage. In the coming weeks, our Engineering team will be performing walkthroughs of the Garage to review the work that was performed. At the Octagon Tennis Courts, the new concrete pole supports are expected to be fully cured by next week. Workers will re-take the construction site and are on schedule to complete resurfacing in late June. Restoration work on the Good Shepherd Community Center’s entry doors and narthex at its west entrance area is also moving forward. Cleaning of the brick and limestone in the north entryway has been finished, as well as installation of the south entryway’s ceiling, interior doors and new bluestone steps at both entrances. 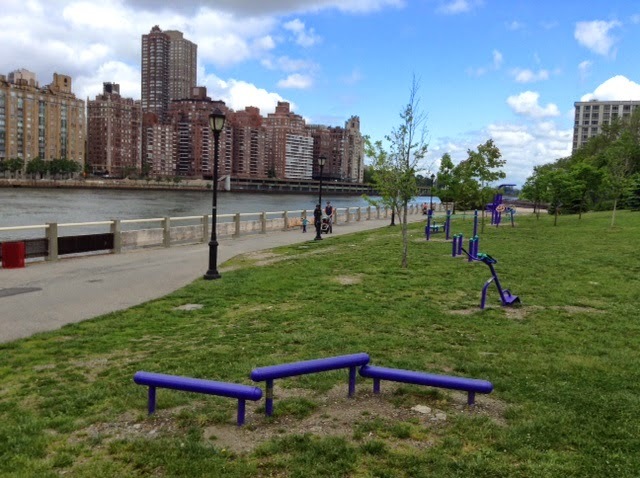 There is an outdoor fitness area adjacent to the Octagon Soccer Field facing Manhattan. 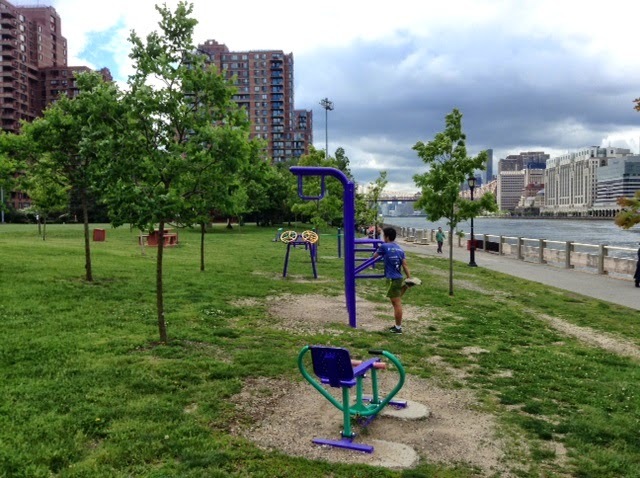 Would you like to see more exercise equipment placed around Roosevelt Island? next to the Octagon Soccer Field. and here's the last Queensboro Bridge Trolley. Perhaps one day, Roosevelt Island pedestrian access to the Queensboro Bridge will return. Stay tuned for upcoming post with more info. Local history is so cool. The full memorandum with complete details is here. The location of the RIOC Summer Outdoor Movie Series has changed. 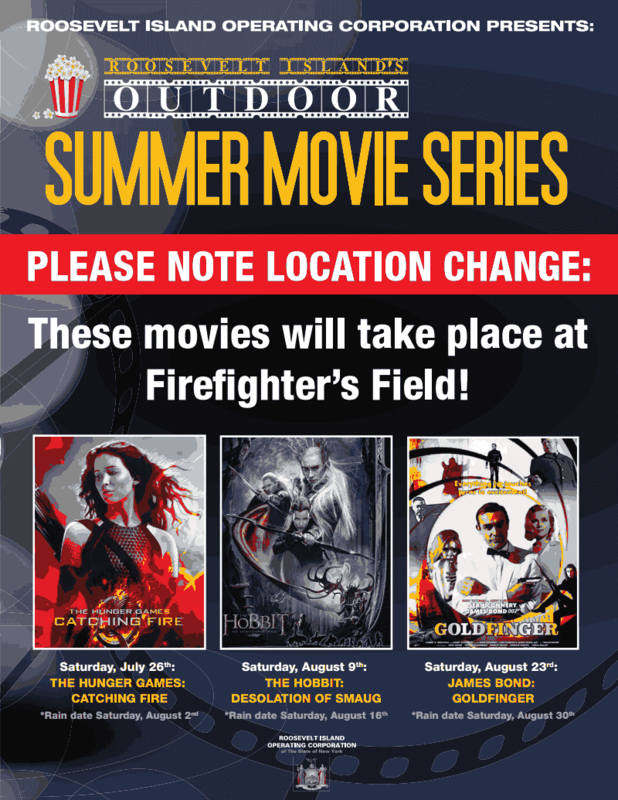 The remaining three movies will be shown at Firefighter's Field on Saturday, July 26th; Saturday, August 9th; and Saturday, August 23rd. Shuttle service for seniors and those with limited mobility will not be provided; however, the Red Bus will make stops at the R.I. Senior Center and at Firefighter's Field as part of its regular service. Please see the attached poster for scheduled movies and rain date information, or visit our website at http://rioc.ny.gov . All ye who do pass by may Pray for his soul when he dies. 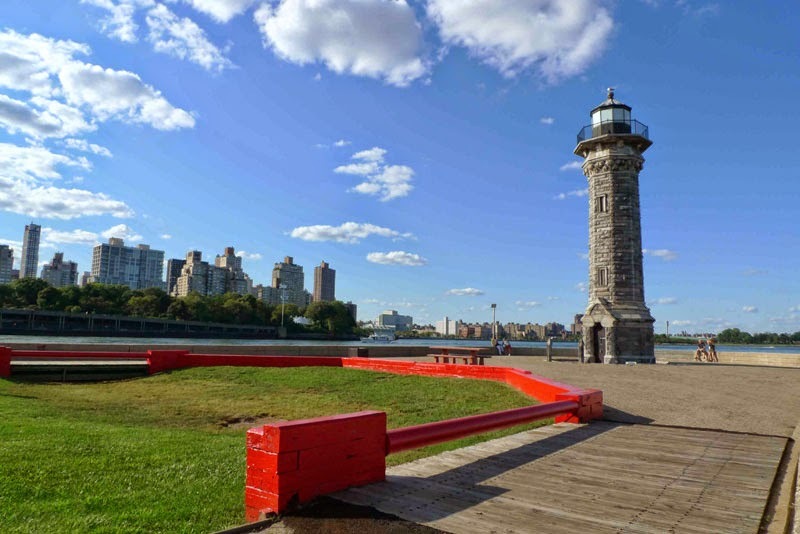 More info on the Roosevelt Island Lighthouse here. 5/19/14 - 1336 - 36 River Rd. - Grand Larceny - PSD/NYPD responded. NYPD investigating. 05/19/14 - 0609 - 560 Main St. - Larceny - PSD and NYPD responded. NYPD investigating. According to a NYPD Press Spokesperson, a 14 year old was at home at the time of the 5/16 Island House burglary. Items taken include laptop computer, iphone, metro card. The door was unlocked. 5/13/14 - 1345 - 585 Main St. - Controlled Substance - PSD responded - Vouchered at the 114 PCT. According to a NYPD Press Spokesperson, on May 13 a controlled substance found at the Roosevelt Island Child School (585 Main Street) was vouchered at the 114th precinct. The controlled substance was 3 glassine envelops containing marijuana. 5/13/14 - 0955 - 540 Main St. - Fraud - PSD/NYPD responded - NYPD investigating. Also received unconfirmed report of another burglary today at Westview. 5/20/14 -1410- Burglary/Assault - 595 Main St. - PSD/NYPD responded. NYPD is investigating. ... about the poor landscaping upkeep on the Octagon end of the island. The grass is very high in some parts, which doesnt make it pleasant for those walking their dogs. It can get very buggy. with some being piled along the tennis courts. I am not sure if RIOC did this or perhaps an Octagon tenant to help try cleaning up. The sidewalks are scattered with them and its hard to maneuver around them while walking through the tall grass with your pet. It seems they started to cut the grass but then stopped and left piles of cut grass behind. Weeds are overgrown everywhere. It seems as though we are forgotten down here quite a bit. Just a few weeks ago, I complained, along with our concierge 3-4 times within a 1- 1 1/2 week period to have a very large dead squirrel removed from near the tennis courts. I saw several children jump and scream after being startled by the dead animal. With the squirrel deaths last Fall, I found it to be disturbing and was frightened for people with their pets and children. I have lived here for 5 years and never have seen it this bad. I have attached a couple photos. I was also wondering what is going on with the tennis courts. The nets have been down for a couple weeks. Perhaps RIOC thought that since tennis is out of order for a few weeks, upkeep of the surrounding area could be ignored?? 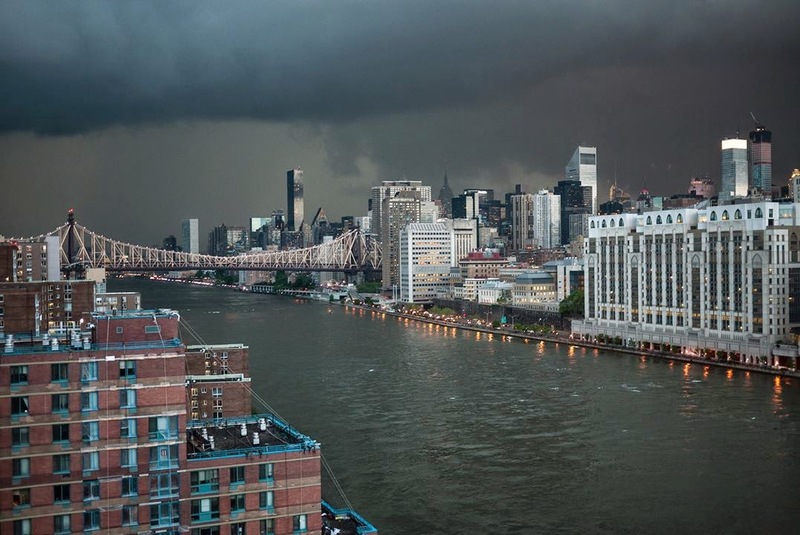 I would like those visiting and those living here to once again see the beauty of Roosevelt Island. Ironically, they mowed the lawn today. 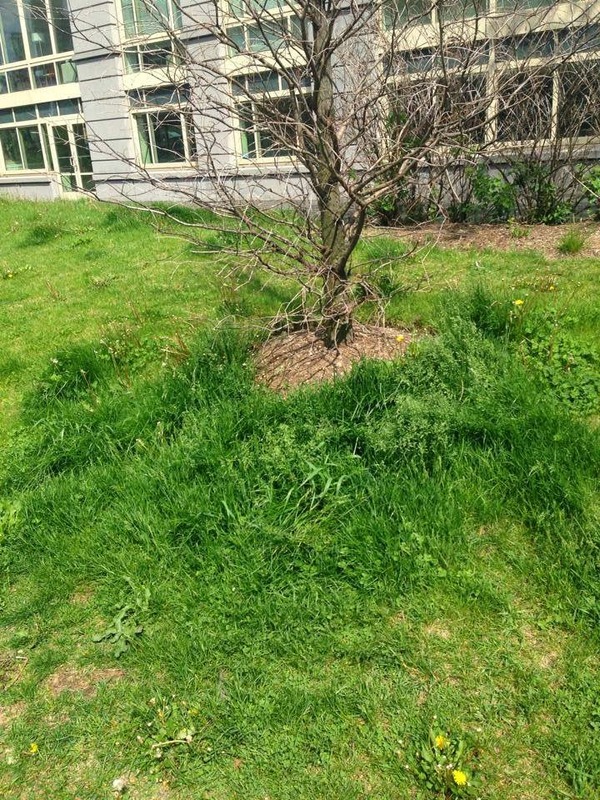 However they have still not picked up the grass! 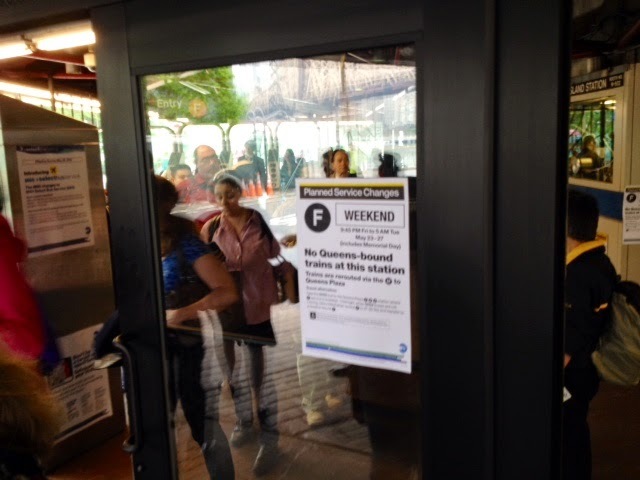 In light of recent Roosevelt Island burglaries, Westview resident and swimmer Roberta Kleiman is concerned about non residents entering Westview to use the building's pool when it reopens. Just because something had been done in the past doesn’t make it right or in our best interest to continue. As I walked past the Westview Pool last week on the way to my Westview apartment, I saw that the pool looked like it was getting ready to reopen. Then I began to think about the rash of burlaries in Westview recently, and became increasingly uncomfortable with the many people, particularly non-pool members, who would soon be walking unescorted down our hallways, from 625 to 595, and into the 595 elevators and stairwells. I contacted both RY Management and the Westview Task Force. The main gists of the messages I received from both were that membership cards are checked, and we have always done it this way. I find this reasoning troubling and illogical. For many years the users of the Westview pool were almost entirely members and their guests. Only these members and accompanying guests were entering the building. There were no daily users, paying a daily entrance fee. There were no teams and their families coming to practice in the pool. There were no school groups. There were no coaches and individual lessons. Slowly other things have also changed on Roosevelt Island. Little by little the Island population has probably tripled. Crime has dramatically risen on the island, and burglaries are now commonplace in Westview. When the pool was last open, individuals coming to swim who payed a daily $5 entrance fee had become the norm. Many groups are using the pool. Pool usage seems to have dramatically risen by non-members. That's why I say, this public pool needs a separate public entrance! Westview pool had become a wonderful resource for the community. 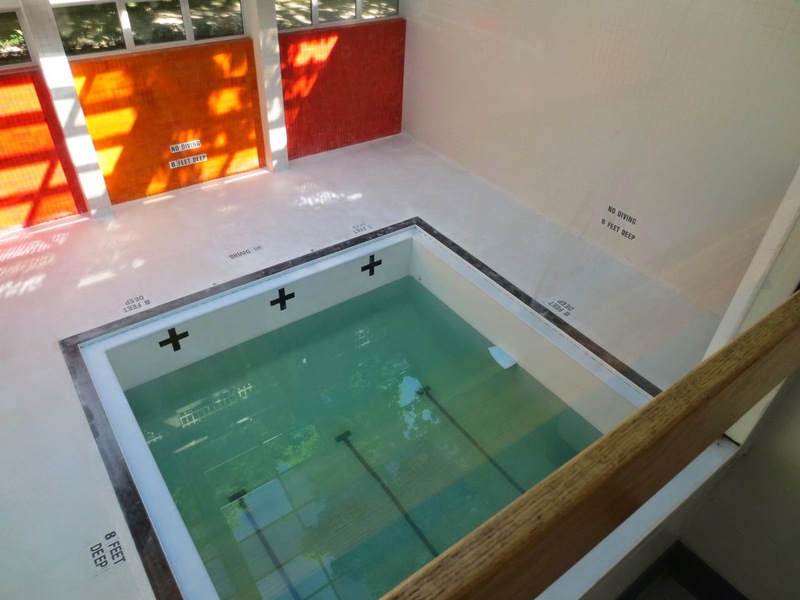 However, since this pool resides in a private apartment building, it puts the security of Westview residents at risk if the public is allowed to walk unescorted through our hallways and into our elevators. If a long standing policy is no longer in the best interest of Westview tenants safety and security, it must be changed! Please do not reopen Westview Pool until you have created a separate entrance. 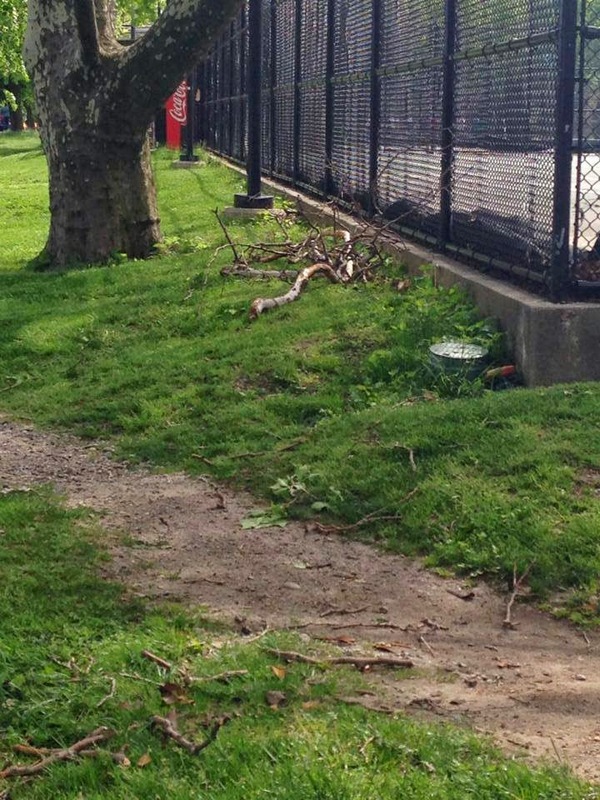 Roosevelt Island Residents Association (RIRA) Island Services Committee (ISC) Chairperson Aaron Hamberger sent the following report to the May RIRA Common Council. The ISC met on 4/21/14 with 5 members present. Manhattan Tram Elevator ‐ We continue to experience break‐downs of the elevator. At most times the red lift is still working. In April, RIOC issued a RFP for the new elevator. It’s expected that the project will take at least one year to complete. So, we won’t have a new elevator until at least spring, 2015. Meanwhile, ISC will continue to pressure RIOC to always have personnel present to operate the red lift. Garden Club – The new land use permit issued in April to the Garden Club specifically requires that all plots must be assigned to RI residents only. This is one of our two major goals in providing more opportunities for residents to garden. Non‐residents will be removed from the waiting list and existing plots occupied by non‐residents will be “grandfathered” until such time as the non‐resident stops gardening. About 15% of the plots are used by non‐residents. Tram Gate At RI Station – We’ve made little progress in resolving the issue of providing quick access to the Tram by strollers, the disabled and bikers. For a variety of reasons (including cost), RIOC has not accepted any of ISC’s suggestions on how to improve the situation. Instead of dealing with Charlene Indelicato, we will try working with Cy Opperman, RIOC Director of Transportation. We are hopeful Cy will be more receptive and aggressive in solving the gate issue. Boy Scouts – We are making slow but steady progress in our attempt to re‐establish a Boy Scout troop on RI. Frank Farance reports that one or two potential leaders have been identified. An organizational meeting is planned for June. Condition of Sportspark Facilities ‐ Many users of Sportspark are unsatisfied with the condition of some of the facilities and operations at Sportspark. Some of the key concerns are sanitary conditions are poor, the time for opening the pool is erratic and water temperatures need to be better controlled. Blackwell Park Playground –Parents seem satisfied with the additional toddler equipment and signs recently installed at the playground. Here's Mr. Hamburger's report and statement from RIRA Common Council Member Janet Falk objecting to current non residents being allowed to keep a Community Garden Plot for more than this coming year. 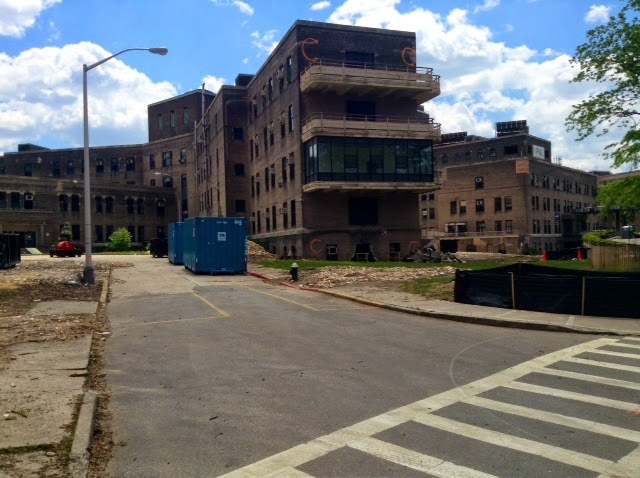 Cornell Tech has advised that beginning next Monday, May 19th, workers will be on the roof of Building C of the former Goldwater Hospital complex undertaking demolition and abatement work as part of the construction of the Cornell Tech campus. The work is expected to be completed within 4-6 weeks. Wearing protective gear, the workers will be removing non-friable asbestos roofing materials and will be visible from the Tram and the Ed Koch Queensboro Bridge. The work is being done in accordance with the approved Department of Environmental Protection (DEP) procedure, using industry-standard products intended to prevent dust from being created during the roof removal in a manner that does not pose a health and safety risk to the community. 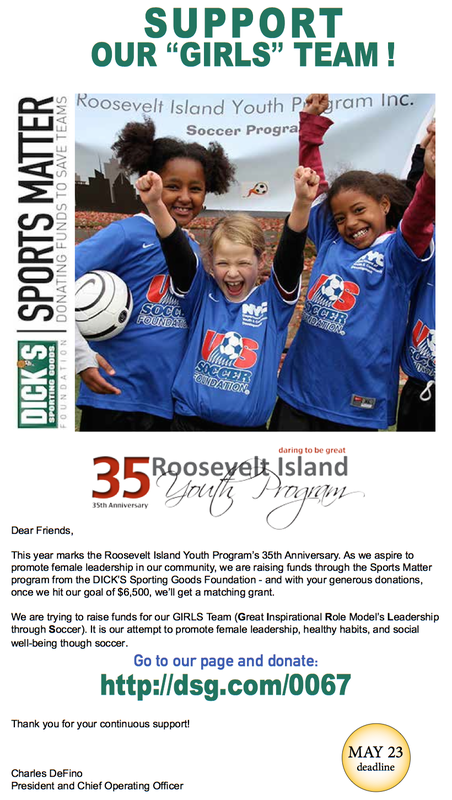 GIRLS is the Roosevelt Island Youth Program's attempt to promote female leadership, healthy habits, and social well-being through soccer. 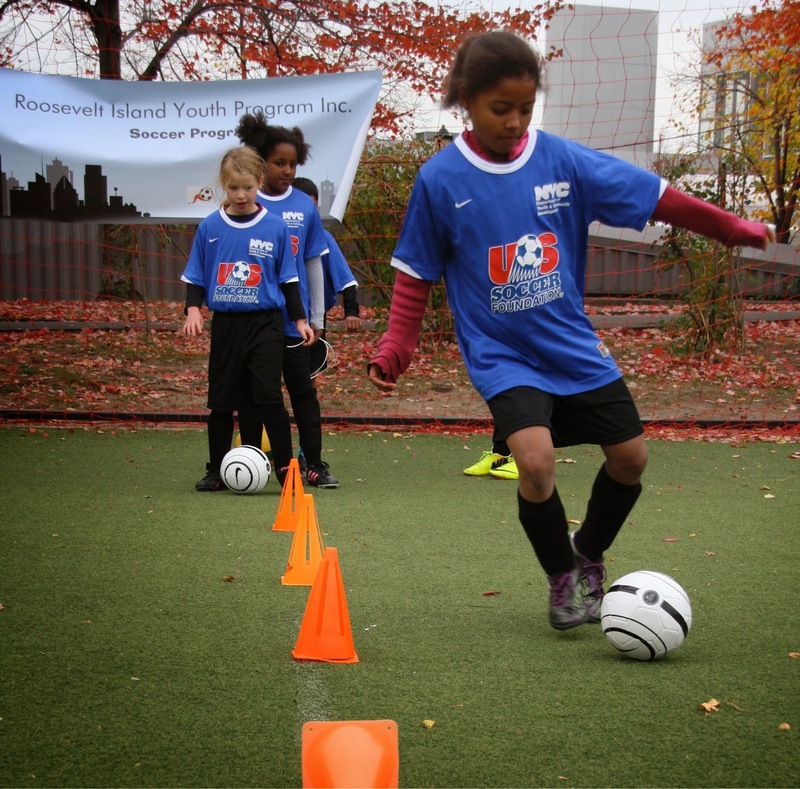 The Roosevelt Island Youth Program Inc. has a soccer program for youth ages 5 to 15 years, split into three seasons: a competitive coed recreational league (300 participants and 60 volunteers), an indoor soccer winter program (90 players and 12 volunteers), and a spring intermural program (120 youth and 16 volunteers). This past year our Minors (7 & 8) and Juniors (9 & 10) divisions were made up of 42% girls. Past history has shown that of that group (18% higher than past years) only 10% of those girls will continue to play in our older Senior Division. While several issues play into this development, the most prevalent are: commitment to the sport because of skill set, playing with male peers and many of their female peers opting out. We hope that having girls play both in our co-ed program and all-girl teams will solve this problem. 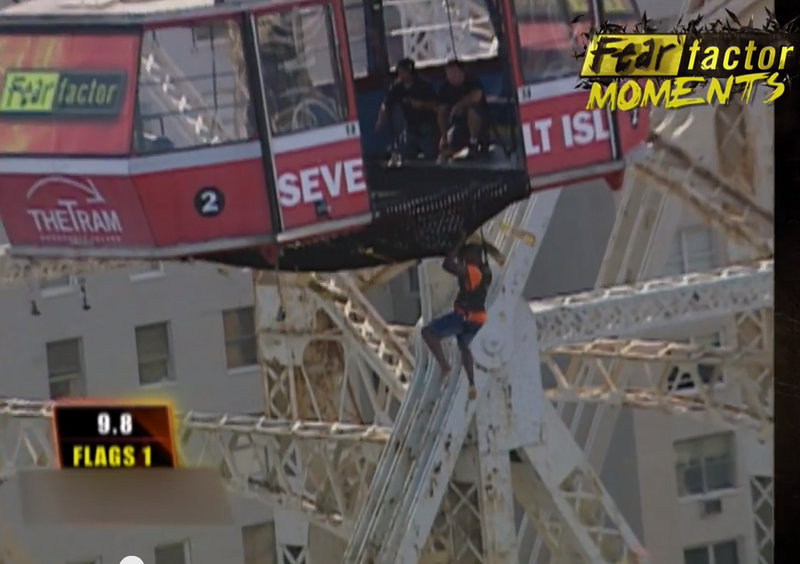 Fear Factor Contestants Step Off Old Roosevelt Island Tram For Stunt Dangling Over East River - Would You Do That? Do you remember the Fear Factor TV show where contestants would perform crazy stunts or eat disgusting things? In 2004, Fear Factor visited New York City for its 100th show and used the Roosevelt Island Tram for a challenge. Would you have taken that first step out of the Tram Cabin?